Not bad. Gruber does a marvellous job of going over all the features. 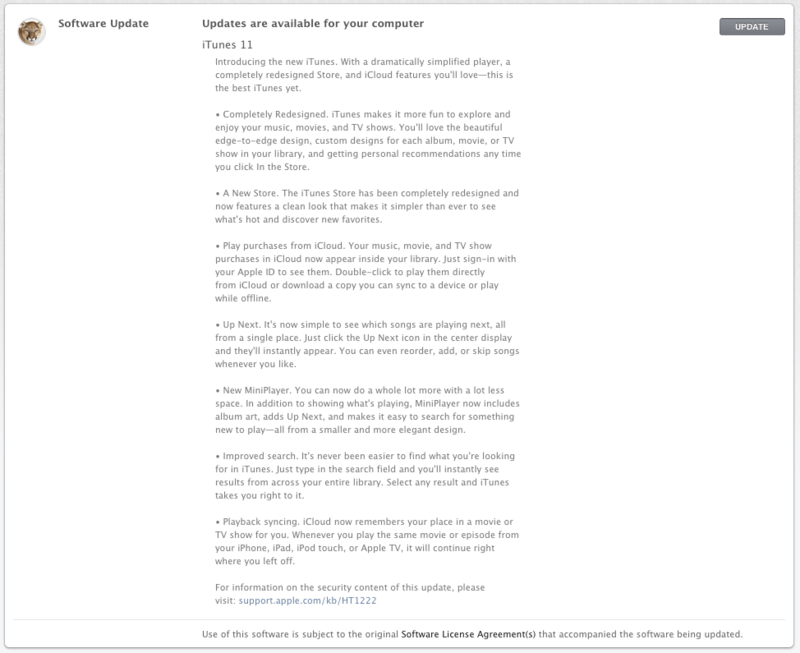 Weighing in at 198 MB, iTunes 11 is available from your Software update (Mountain Lion) now. Previous Previous post: Jason Bradbury “surface is the iPad killer” sponsored by windows.